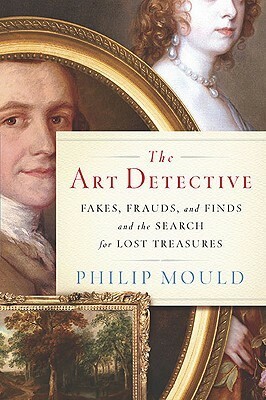 The Art Detective Philip Mould became a television celebrity from his role appraising works of art unearthed from dusty attics or flea markets on the popular “Antiques Roadshow,” but according to his memoir he began as an ambitious art dealer who just happened to fall in love with the game of chasing down a good find using the forensic and research expertise of his reliable staff, his vast knowledge of artists and fine art portraiture and often pure instinct along with a willingness to risk his reputation in the highly competitive art world. Sheer luck seems to have been in his favor with a number of great finds that, had he been wrong — such as in his decision to scrape away some over-painting — might have had disastrous consequences both financial and for art’s sake. He seems very fortunate to have found early success that he has been rolling with ever since, which makes for a very fascinating read about his life’s work. This book was very appealing for the sense of mystery involved with researching and following clues to determine a work of art’s provenance and condition, often literally peeling layers of paint to reveal the true masterpiece in disguise. I liked the storytelling skill and use of suspense. Descriptions of bizarre art collectors’ habits created vivid portraits of the persons associated with the art under investigation. These and some incredible frauds provided a number of laugh-out-loud moments for me as well. The stories relating the complex process of unraveling the truth about individual works of arts were rich with detail, wit, and sensationalism. I will say that they could have benefited from more complete documentation of his findings; particularly, some additional dates would have oriented me into the moment better. Some of the works discussed are in museums or locations that I have either had access to or had contemplated in books previously, which increased my interest in learning more. The book also sparked my interest in seeking episodes of Antiques Roadshow on both BBC and PBS, which before I read this book were the type of put-me-to-sleep programs I would have clicked right past. I felt as though I were being welcomed behind the scenes of the elite art environment in which Philip Mould makes his living. I found it to be a very quick and engaging read as an e-book.